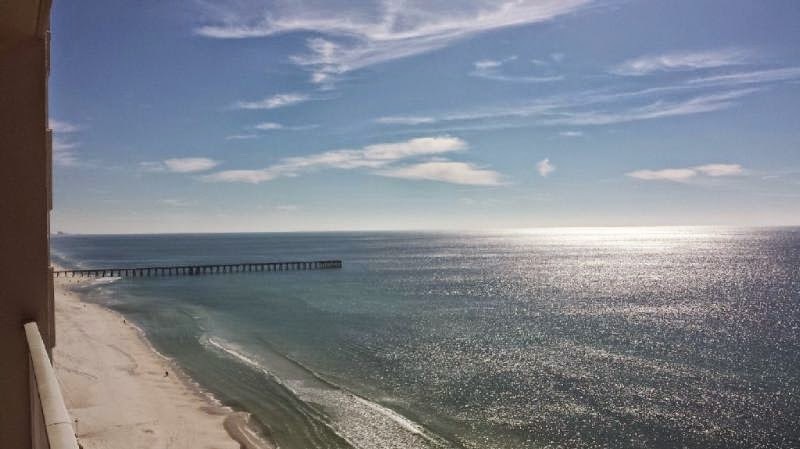 One-bedroom condo, Vacation Rental By Owner in Panama City Beach on Florida's Gulf Coast is located at Tidewater Beach Resort, one of the finest gulf-front beach resorts in PCB. This gulf coast beach property has a with king size bed in the master bedroom, bunks located in the hall and a sleeper-sofa in the living-room. The condo has two full baths and will sleeps 4 adults with two children. Unit features upgraded appliances in hte fully equipped kitchen with granite counter tops, newer furnishings, flat screen HD TV's, wireless nternet, including free local and long distance calling within the USA. Tidewater is within walking distance to Pier Park, a popular shopping and entertainment complex in Panama City Beach; also, Miracle Strip Amusement Park is conveniently nearby. Secured covered parking, 24 hour security with video surveillance of elevators, parking deck and common areas on the property. Reviews, Photos, Specials - Panama City Beach Attractions, Hotels, Rental Homes. One of the best beach resorts this side of heaven, Panama City Beach on the Florida Gulf Coast has 27 miles of stunning sugar-white beaches, sparkling emerald green waters. Explore an array of things to do, from family-friendly activities and Florida sport fishing to exciting nightlife, relaxing spas, top attractions, first-class restaurants and much more!